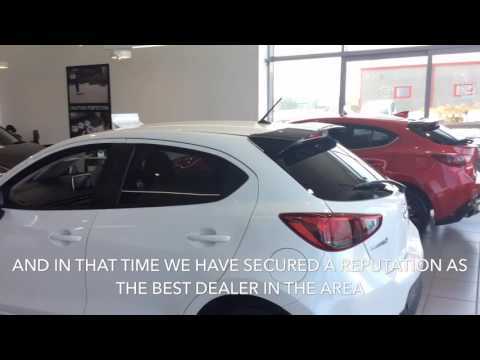 Our award winning Mazda dealership was launched in 2007 and we pride ourselves on our knowledge and offering a personal service to anyone looking to buy and new or used Mazda. What's more with an award winning range of cars to choose from too, Rockingham Cars Mazda is an ideal place to find a car to suit all needs and pockets. That's why our customers come back to us again and again. Our two sites in Corby and Rushden offer a full range of new and used cars, servicing, MOT, parts and accessories. Our manufacturer trained team are on hand to help and assist you whatever your query. Whether you're looking for the latest new car offer, an approved used car or simply want to find out what's new we hope you find our website useful. If you are on Facebook why not keep up to date with what's new by joining our Facebook page and share the excitement of buying and owning a Mazda. Our Aftersales Department is headed by Simon Salisbury who has been part of our aftersales team since 2007 having trained as a Mazda master technician, He is supported by Alex Moore who is always around to answer any queries you may have and try to help you to the best of his ability. I'm loving it. Can't believe it's so fast!!! I had to get use to the Nav, but truly love it for me, you're correct it exceeded my expectations. I will recommend it and you. I love your customer service don't ever change. My cousin who is a teacher wants to buy a small car. I will have her come to you. Many thanks for your time today. It was a good experience for us both. I have to compliment you on your customer service. I loved the way you handled your test drives. Sets you apart from most other dealerships. You acted very quickly with our requirements, you understood our needs and explained everything simply. You were so accommodating, it actually was a breath of fresh air. We have visited a few other showrooms over the last few weeks and you are the best by a country mile. The price is very attractive and I will be in touch soon. We have also recommended you to a couple of friends of ours who are on the search for a jeep type vehicle.